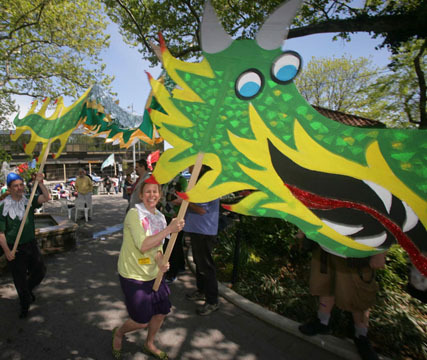 Dress as a Dragon or a Flower or your original creation and join the Dragon Parade. Have an instrument or noisemaker you can play as you frolic? Please please do! Featuring the Dragons of St George and the Wagner HS Marching Band! !